Hi lovelies! 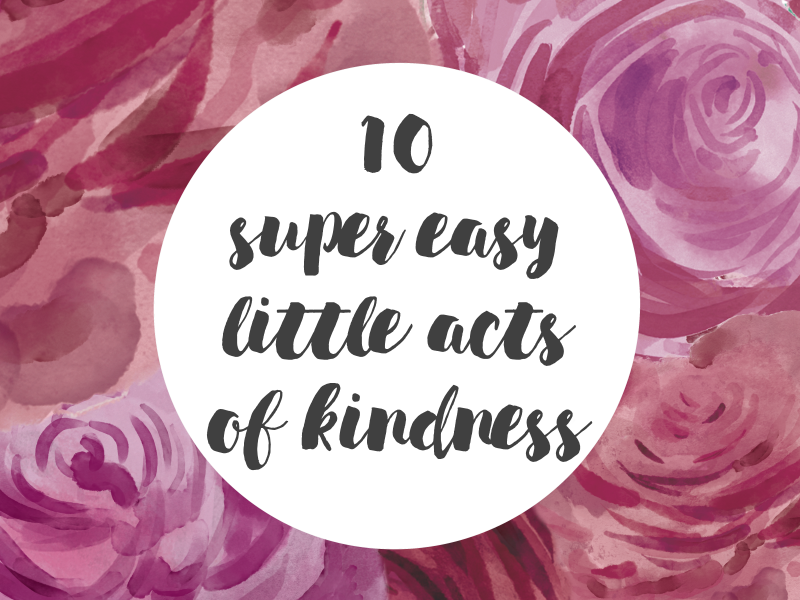 Here's my second installment in Kim's Ambassadors of Kindness campaign where I share some super easy little acts of kindness that you can pick from to try over the next couple of months. We should all be nice and polite to each other anyway but I know sometimes I need a little reminder to spread that extra bit of kindness so I hope these help you guys too! 3. If you follow any small bloggers and you enjoyed one of their posts, leave a comment! 4. Heading out of the house before your roommate/partner/family etc.? Leave a post-it note somewhere they'll see, like the kitchen table or bathroom mirror, with a cute little message on! 8. Set aside £5/$10 in your purse for when you receive really great service from someone in a restaurant/at the hairdressers etc. See you in June for my next list!